Participate in our educational training events to learn more about our complete line of maintenance-free products. As a leader in the industry, we are focused on innovation and want to share the SGC experience with you. Allow us to help you minimize your outdoor maintenance with a complete line of maintenance-free products. First and foremost we offer you the peace of mind in knowing that with our line of 3 complementary products you can finally enjoy going outside in the comfort of your own space. The compatibility between our synthetic grass to a beautiful composite deck Ezdeck and finally the composite fencing system Ezfence will allow you the time to enjoy summer the right way. We have many lines of products in our Ezdeck, Ezfence and Perfect Lawn Series for all tastes and budgets. Ultimately they were created so they bring you backyard together! SGC has various showrooms available where our visitors are able to touch, feel and learn how to install the products. 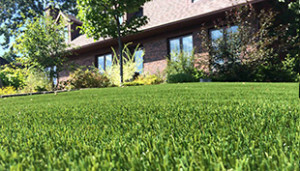 First, we teach about the most popular artificial grass collection, The Perfectlawn Series. This collection of synthetic grass has been #1 for over 5 yrs. In fact, each model of synthetic grass has a high quality yarn fiber and comes with all the synthetic grass accessories required. For the composite deck, visitors can see and compare the 3 Ezdeck composite collections. The Ezdeck Natural, Ezdeck Design and Ezdeck Elite. Finally, they will get to learn more about Ezfence composite fence systems. From the finishing boards to the fascia’s, LED lighting for the deck and composite fences. All visitors will be able to experience the SGC experience. This topic presents all of SGC’s research and marketing ideas as a leader in maintenance-free material market. Visitors will be able to compare all the SGC products lines. All the varieties of synthetic turf, composite decks and composite fences. Finally everything under one roof! They can see the quality, performance, and durability of all our Maintenance-Free products. This zone allows everyone to learn more about the installation of the SGC products. Such as, the jointing of our synthetic grass and about the installation of our composite boards. We provide all the necessary tips and tricks to easily install all of our products. An area is also reserved for the installation of the Ezfence composite fence. Here you will find all the marketing tools such as displays, banners and samples that are available for the SGC network. Whether you are a reseller, designer, architect or contractor, we have everything for you. All things considered, we are pleased to open the doors of our new SGC University! We are looking forward to sharing the SGC story in this exciting new way. To participate in the educational training events at SGC University, please contact us at 1-800-742-9169 or schedule a meeting.